This Shape Sound learning puzzle from Melissa & Doug's first puzzle collection comes with 9 basic geometric shapes puzzle pieces. 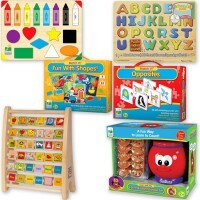 This terrific wooden Shapes Sound Wooden Puzzle by Melissa & Doug is an excellent addition to the first puzzle home or preschool collection. 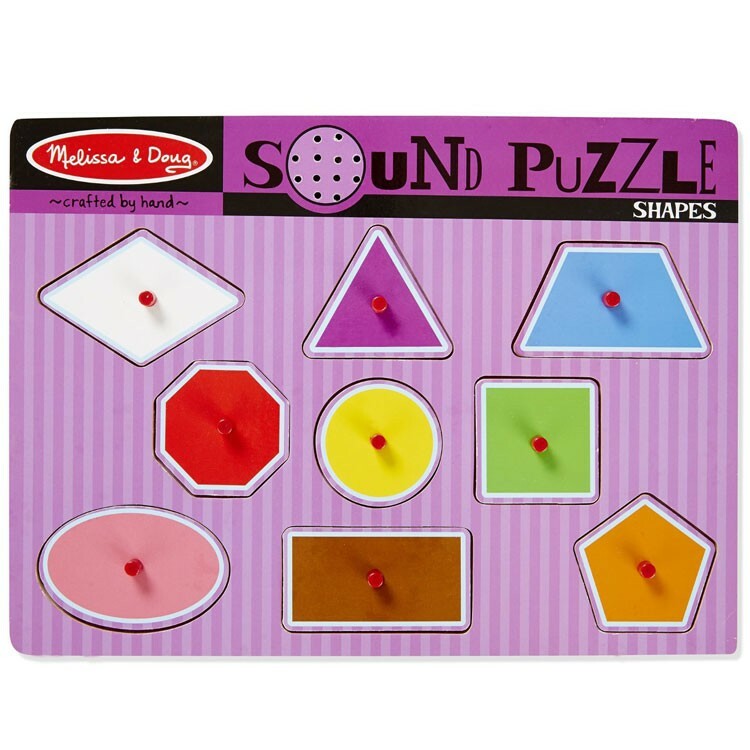 This shapes learning electronic puzzle comes with 9 wooden puzzle pieces shaped as one of the basic geometric shapes, each in a different color. 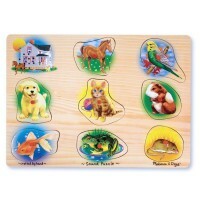 Special clear sound is played when every piece is properly placed on the wooden puzzle board. 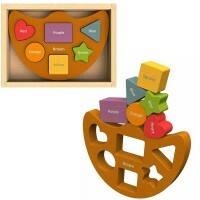 The Shapes Sound Wooden Puzzle will help your child recognizing basic shapes and colors. 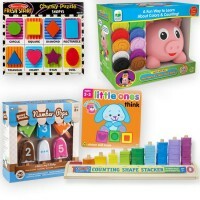 Educational Toys Planet offers wide variety of the electronic first puzzles for toddlers and preschoolers. 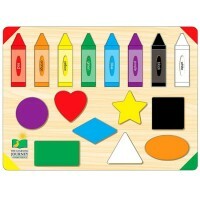 Dimensions of package 8.5" x 12" x 1"
Write your own review of Shapes Sound Wooden Puzzle. 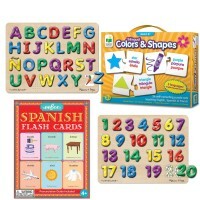 Rating: 5 by Vivian, NJ Whenever we go out, my son tries to identify some of the shapes and tries really hard to pronounce them. I help him out most times. 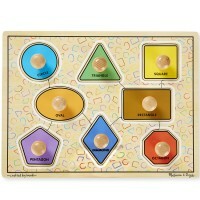 This is very educational. 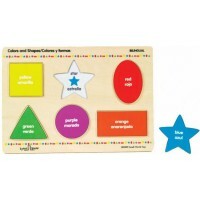 Rating: 3 by Lisa, CA It will be good to teach my child the names of shapes, but it is just a magnet that sets off the word, not the shape, so you can get it to say the shape by any puzzle piece. 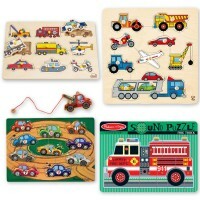 May be a little confusing.